Our Team Brandon Valley girls took on some hot competition at Augustana last weekend. Both teams demonstrated perseverance and heart in as they battled on the court - and each had an exciting comeback game! We are so proud of these athletes for their grit, sportsmanship and teamwork! Both the Team Brandon Valley boys and girls will be back in action this weekend in Omaha, NE. Check back next week as we celebrate our Team Brandon Valley athletes in our final post of the season. 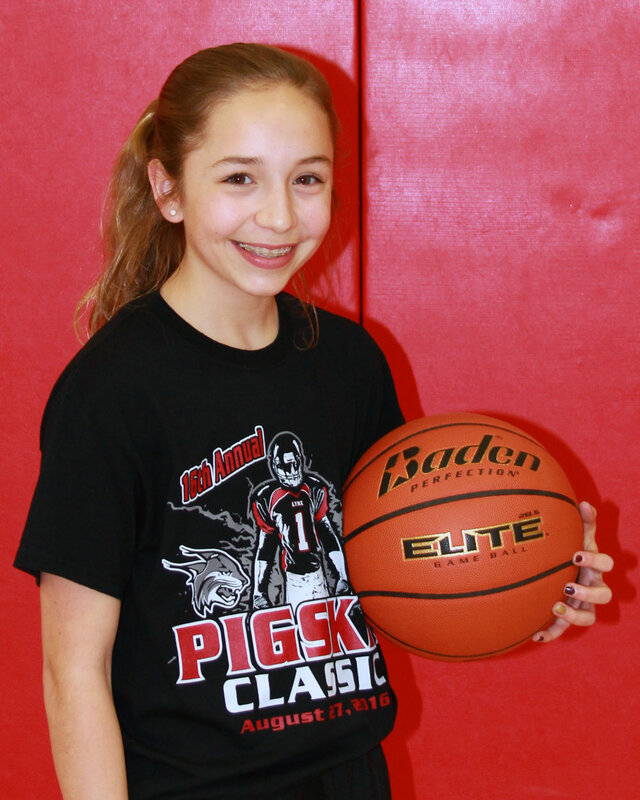 Haley Bergan, 6th grade: Coach Klumper said Haley played with high energy throughout the grueling six-game tournament. She defended her opponent with relentless tenacity. Haley gave max effort and did not whisper the slightest complaint about being tasked with a most difficult assignment of pressuring the ball full court, game after game. As the sweat beads poured from her forehead, the steals continued to pile up. Offensively, Haley did a tremendous job of cutting to the basket with purpose, leaving her defender in the dust. She also made some nice mid-range shots. On many occasions, she used her cheetah-like reflexes to make a steal and finish the fast break layup. In the championship game, she helped lead the comeback with her aggression and competitive spirit. Haley tells us her favorite subject in school is math and she plans to be a doctor when she grows up. She enjoys playing basketball with her friends - and especially likes to play defense. Haley's favorite BV athlete is Trinity Law. Newer PostTeam BV 2018: What a ride!